Could you run the Down Lane Park Bowling Green building? Lendlease have been appointed as Haringey Council’s preferred partner for our ambitious regeneration plans to bring forward thousands of new jobs and at least 5,000 new homes on council land across the borough through the Haringey Development Vehicle (HDV). In 2014, the council launched our 20 year plan for Tottenham – with a vision that by the age of 20, a child born in Tottenham today will have the same level of opportunity as the best in London. Our strategy and vision were informed by issues you told us were important to you during the 2013-14 Tottenham’s Future consultation. You told us you wanted higher-quality homes, a better choice of affordable housing, improved public transport, more leisure and cultural activities and better open spaces. We’re determined to find the right way to secure that investment, while recognising that not all projects and sites are the same. This means considering different options to find the right delivery partners in each case, and secure long-term investment and prosperity for all areas of the borough. Where the council is the major landowner, the joint venture HDV approach means the council retains a share of control and we get a share of the future proceeds. The HDV will an essential tool for us to deliver on our promise to residents to put new homes and new jobs at the centre of our ambition for the borough. What is the Haringey Development Vehicle? 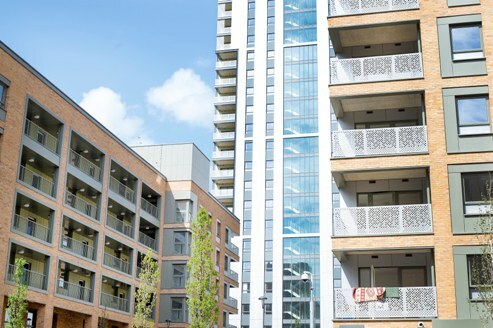 The HDV will be a 50:50 partnership between Haringey Council and a private partner, Lendlease, a leading property group which has been chosen following a lengthy selection process. The way the partnership will work is that Haringey provides some of its council land to be developed and Lendlease matches this with cash and its development expertise. Each partner taking an equal 50% stake is crucial as it means that we will need to approve every decision, keeping us in control. It also means the partners share the returns and we can ensure that our share of profits goes back into other regeneration initiatives, affordable housing and funding the services we provide to residents. The development sites proposed for the first phase of the Haringey Development Vehicle’s work are the former Cranwood care home in Muswell Hill; the Council’s Civic Centre, Station Road offices and Library in Wood Green; and the Northumberland Park regeneration area. All transfers of Council property to the HDV will be subject to Cabinet approving a business plan for the development and/or management proposals for that site. This is planned to be a long-term partnership which will last for at least 15-20 years. By creating a partnership that lasts for this length of time, our partner knows that the success of their investment depends on the long-term quality and reputation of the places and buildings they are creating. The decision to appoint Lendlease has been approved, and we will now enter into final discussions with them on how the joint venture would be established and managed. A final decision on whether to establish the Haringey Development Vehicle, and on proposals for the first phase of sites, is expected to be made by Haringey Council’s Cabinet in the summer of 2017. Does the HDV mean the council is just selling off its land, including housing estates? No. No land can be transferred into the HDV until a business case has been agreed with the council’s Cabinet and all conditions are met – in the case of housing estates, full consultation with residents will take place on any development proposals. In order to secure the homes and jobs on council land that the borough needs, we propose to set up the HDV as a 50/50 long-term partnership which allows the council, where it is the main landowner on a development site, to retain a share of control and a share in the future proceeds even after that transfer has taken place. Is the council really transferring £2bn worth of its existing property? No. The value of the land proposed for transfer is far lower than that – the value of land changes all the time, but the land currently proposed for transfer to the HDV is worth in the tens of millions. The £2bn figure refers to the estimated value in 2015 of new development on all those sites – development which would not be possible without the HDV. Why did you decide to go with a 50:50 partnership with a private partner? A huge amount of work has been done to get to this stage. The principle of a joint venture development vehicle was carefully considered, as one of a range of options, and agreed by Cabinet in November 2015. Those options were set out in a detailed business case which looked at the cost, deliverability and risk to the council of six different approaches to developing some of our land to deliver the homes, jobs and opportunities our residents need. The overarching joint venture approach was recommended, and approved by Cabinet, as the most effective way to do this. This built on the work already done by the councillor-led Future of Housing Review which looked at the options for the long-term management of the council’s housing stock. As part of that it concluded in its September 2015 report that some kind of dedicated development vehicle was the best option for redeveloping estates where simple refurbishment could not cost-effectively maintain decent quality homes. Why have we chosen Lendlease as our partner? In choosing our preferred partner, Lendlease, we assessed the bidders against a range of measures – each bidder has been challenged to describe its vision for Haringey in general, and for the first phase of sites in particular. Each bidder has been asked to explain how it will deliver that vision, alongside financial returns to the council, and how it will protect the council from risk in doing so. And each bidder has had to explain how we would work together to transform not only the physical face of the borough, but the social and economic opportunities of its people as well. Lendlease scored the best overall across all these criteria, and on 14 February 2017 the council’s Cabinet approved the recommendation that they be appointed as our preferred bidder. Any property development carries risks and it is true that in taking 50% of the proceeds of development, the council also takes 50% of the risk. Our new approach spreads this risk, which – if the council went it alone as a developer – would fall 100% on us. Our planning for the HDV already considers what would happen if London’s housing market slows down and in our plans and discussions with Lendlease, we are doing everything possible to identify all possible risks and put in place a clear set of legal agreements to make sure the risk falls fairly on the two partners, and a detailed mitigation plan for those risks that remain with the council. To further minimise risk each project will be carefully considered before any development occurs. The council does not transfer all of our assets into the development vehicle at the start. Before any land is transferred into the Haringey Development Vehicle for development, it will be individually assessed and subject to Cabinet approval based on detailed business planning, full consultation with the local community, and eventually a planning application. With this approach, the council retains a 50% control which means nothing can happen without our consent. This element of control puts the council in a very strong position to handle any risk or unexpected event. Will council tenants in a home proposed for redevelopment have the right to return to a property on the same estate? Yes. Our overall policy on housing estate renewal says clearly that we will always do our utmost to rehouse any existing council tenant in the same area, if that is what they want. This policy covers all estate renewal projects, however they are delivered. 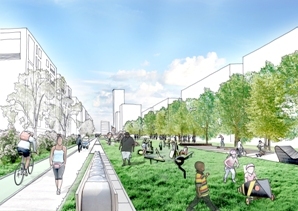 For the projects we’re proposing be delivered by the Haringey Development Vehicle, including at Northumberland Park, we have made clear our commitment to go further and offer a guarantee of return to every resident that wants it. We recognise that any estate renewal project will be of concern to people directly affected, which is why there will be extensive consultation with all residents and businesses (including statutory consultation with secure tenants) to ensure both that they help shape the plans and that they understand their rights and options. How much of the housing will truly be affordable? We want to build as much affordable housing as possible. London faces a housing crisis which affects all boroughs including our own. Our aim is to deliver the maximum number of good quality affordable homes across the borough – in our Housing Strategy and planning policy we have a target that 40% of new homes built should be affordable housing, as well as more detailed descriptions of the different kinds of affordable housing that we will particularly prioritise in different parts of the borough. Because comprehensive regeneration would involve significantly more homes overall the actual number of affordable homes would be greater than it is now. Having a 50% stake in the venture means we are in a strong position to ensure the proposals secure not only the greatest possible amount of affordable housing from this land, but that this housing meets Haringey’s particular housing demand as set out in our Housing Strategy. Further, the council will always have the option to reinvest its financial returns from the venture in building yet more affordable housing. To find out more visit the Haringey Development Vehicle pages on the main Haringey Council website (external link). Pioneering plans to generate low-cost, low-carbon heat and energy for thousands of homes and businesses in north Tottenham have been agreed. The ambitious District Energy Network (DEN) will bring more affordable energy to around 5,000 new homes planned as part of major regeneration at High Road West and Northumberland Park – and could even power the development around the new £750m Tottenham Hotspur stadium, which will include housing, a hotel and an extreme sports centre. Owned and managed by Haringey Council, the DEN will deliver competitively priced heat and hot water from a local power station to nearby homes and businesses and generate electricity, while construction will go hand-in-hand with training opportunities for local people. The DEN – which will see a system of insulated pipes moving energy in the form of hot water or steam – will be more efficient and mean a lower carbon footprint than supplying energy through the national grid, supporting the council’s 40:20 pledge to slash local carbon emissions by 40 percent by 2020. Haringey is also aiming to be a zero-carbon borough by 2050. Haringey’s Parent Champions scheme is now in full flow. Come join our local parent volunteers already on board! As a Parent Champion, you’ll be chatting to other parents about the free early learning opportunities for eligible two-year olds and all three and four-year olds, and the benefits of sending their children to nursery. You’ll visit a variety of community spaces and signpost families with any information they need. Training and support will be provided – making it a perfect opportunity for personal and career development also. So, if you’re a parent or carer (or know of any) that would like to help make a difference within your community, we want to hear from you! 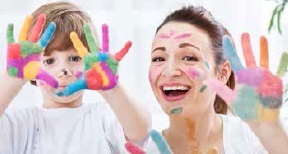 Parent Champions schemes are active nationally and are supported by The Family & Childcare Trust. Contact Renata Moriconi at EarlyYearsProvider@haringey.gov.uk or call 020 8489 3740 if you want to know more. 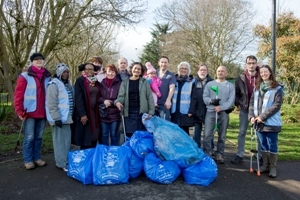 Tidy-ups were held from Queen’s Wood to Bruce Castle Park, as part of Haringey’s Great British Spring Clean events, between 3, 4, and 5 March. Even the stormy weather didn’t dampen spirits. Bruce Castle Park joined their tidy up with a fun day and The Pavilion Cafe reopened for summer. If you would like join the monthly Friends of Bruce Castle Park litter picks they take place on the first Sunday of every month starting at the park’s Pavilion at 2pm. 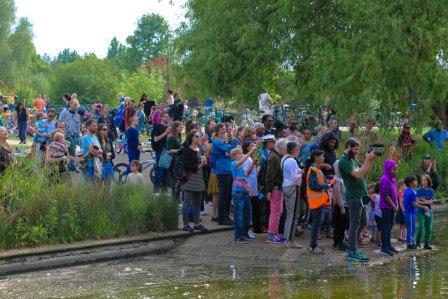 North Tottenham’s first Community Voting Day has been hailed as a “great success” with many community-projects being awarded funding by residents. 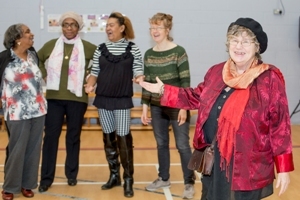 On Saturday 4 March local residents flocked to Northumberland Park Community School to hear presentations from 20 groups – all bidding to receive funding of up to £5,000 – in an event organised by the Northumberland Park Partnership Board, Well Communities and Haringey Council. the project should receive funding with the results announced on the day. Each group or individual had a maximum of just three minutes to make their case for funding and projects had been shortlisted under a number of priorities including: giving children the best start in life, employment, health and a cleaner and safer place for people to live. Seventhsister is an online magazine that covers the positive things happening in Tottenham and beyond. It’s put together by a passionate group of locals who want to share their love of the neighbourhood by highlighting the best of its food and drink, entertainment choices and community events. If you want to discover everything from Tottenham’s hidden hangouts to upfront gossip on the latest new openings, read the magazine at www.seventhsister.london (external link). 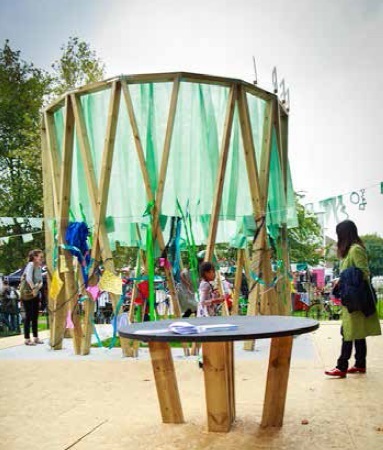 Communities across London are coming together to imagine, fund and create local places that people love – from a community garden in the heart of the city, re- establishing a historic market or the creative use of forgotten spaces to ambitious plans to construct elevated parks and uncover forgotten lidos. The Mayor of London’s team are looking for innovative ideas that benefit the whole neighbourhood and show community support through a vibrant crowdfunding campaign. The best could attract a pledge of up to £50,000 from the Mayor to help you hit your target and bring your idea to life. 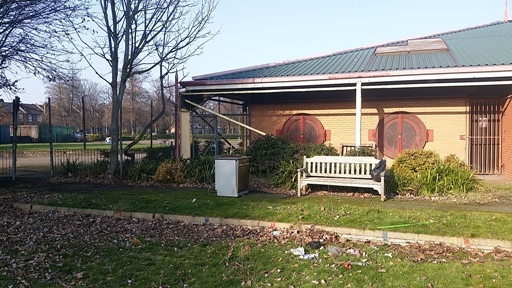 We are looking for a community partner who can bring the Down Lane Park bowling green and associated building back into use as a community facility on an interim basis. The project will be used to explore the role of a permanent community hub within Down Lane Park, informing the wider improvement strategy for the park. Eifba Arts are running their yearly Easter Holiday Play Scheme from Monday 3 – Friday 14 April. 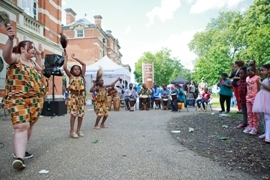 Activities include: African drumming and dance, cinema, arts and crafts, ice Skating, bowling and much more! This year RiverFest celebrates its 5th anniversary. A free festival for all it celebrates local food businesses and supports our rivers to help make them healthier. Stronghold is a new state of the art climbing centre opening in Tottenham Hale towards the end of March 2017. 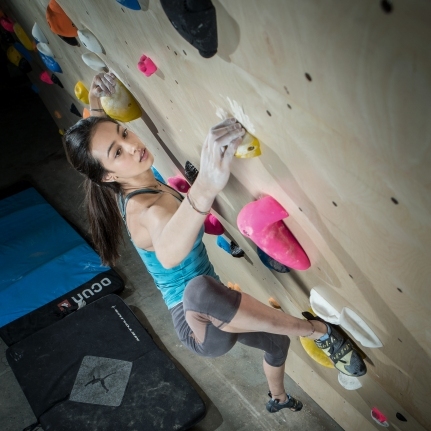 The centre will have the largest bouldering wall in London, a conditioning gym, yoga classes and café. All ages and abilities welcome.